"No expense was spared by these sellers in completely rebuilding this 1930's Yalecrest Classic into their forever home, and then... they found another forever home. You can now be the beneficiary of this seller's thoughtful design choices and desire to build a home that was done right with no corners cut. From the things you don't see such as new plumbing, electrical, and smart home systems, to the touches that you do see- the beautiful barn doors, the solid cherry cabinetry, 1" true hardwood floors & added upper level with large master suite, office & bedroom/nursery & the fully landscaped yard- you can be sure that you'll be getting the best of the best in a home that is timeless, built to last and located in a highly sought after Salt Lake neighborhood. "Seller has conflicting measurements for the square footage. If square footage is of importance then Buyer is advised to verify to their own satisfaction"Â ..."
To view homes, call (801) 829-1560. Your voice message will be delivered immediately. Tony or an agent from his team will get back with you ASAP. Or, REQUEST A PERSONAL SHOWING of 1723 E Laird Ave with Tony Fantis or his team of Realtors®. Listing courtesy of Summit Sotheby's International Realty - Salt Lake. This house is listed for sale at $1,100,000 in Salt Lake City, Salt Lake County, UT and is in or near the following neighborhoods: Harvard/Yale, Yalecrest, Foothill, East Bench. The house is located at 1723 E Laird Ave and has 5 bedrooms and 3 bathrooms. This House has been listed for sale for 207 days. 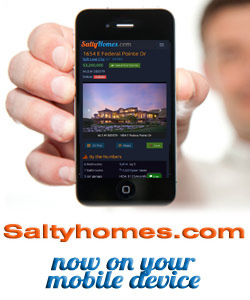 The seller's legal agency is provided by Ally Vanroosendaal at Summit Sotheby's International Realty - Salt Lake. As a house buyer, you are entitled to have your own legal agency by choosing a Realtor® to represent your interests. Call us today to get started with your own buyer's agent. You can reach Tony Fantis, Realtor® directly at 801-541-8806.